Origin Native to northern Europe to northeast Asia including northern India. Burdock belongs to the family of Asteraceae; in the genus of Arctium, and known scientifically as Arctium lappa which is originated from northern Europe to northeast Asia including northern India. Burdock root is an underground tuber of greater burdock plant which is used as a vegetable and medicinal herb. 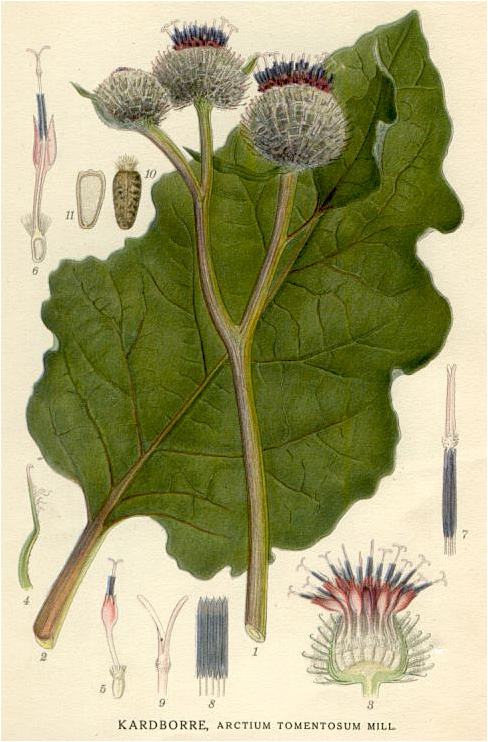 Some of the common names of burdock includes Bat Weed, Cuckold, Beggar’s Button, Grass Burdock, Burdock, Beggar’s Buttons, Burs, Clotbur, Cockle- Button, Edible Burdock, Fox’s Clot, Gobo and Cocklebur. It is popular in Brazil as Bardana, Bardane in France, Gobo in Indonesia, Ueong in Korea and Gobo (Root) in Japan. Arctium minus, Arctium lappa, Arctium tomentosum are few of the popular varieties of Burdock which is used medically and as vegetable. Burdock is a biennial herb sized 100–300 cm tall from Asteraceae family found growing in cool climate. It usually prefers deep profiled and well-drained sandy loam or fresh, worked soil and well-drained soil rich in humus or nitrogen. Roots are normally slender, fleshy, tapering roots similar of carrot or parsnip, which can grow up to 120 cm long and 3–4 cm across. Stems are erect, hollow, branched, hairy, and ridged. It may reach 5 ft.in heights. Leaves are broadly heart-shaped, 6-18 inches long, 4-14 inches wide, with hollow petioles and wavy and toothed margins. Bottoms of these leaves are loosely hairy and light green. Stem leaves are much smaller, alternate, and egg-shaped. Flowers are purple and grouped in globular capitula, united in clusters and are found blooming from July to September. 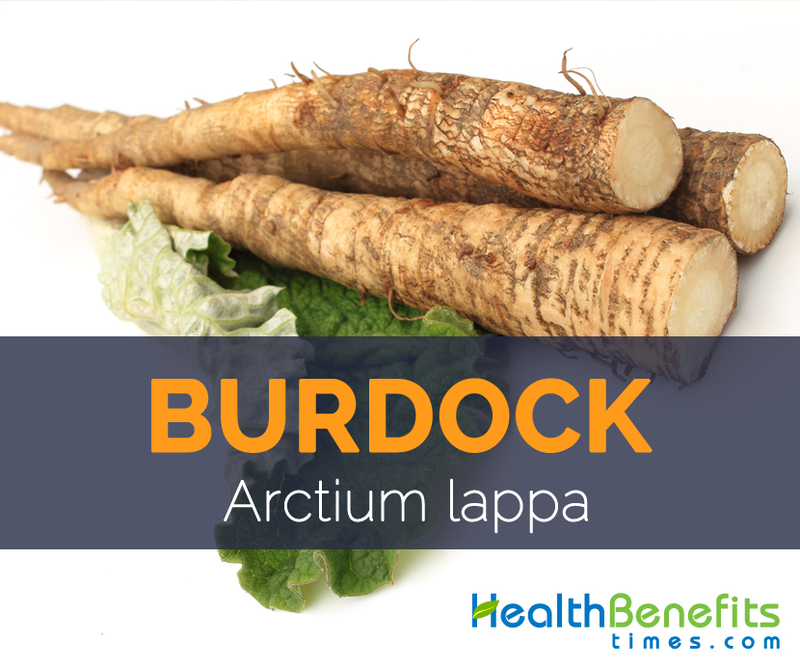 Burdock root is an underground tuber which is used as a vegetable and medicinal herb. Roots are normally slim, fleshy, tapering roots similar in shape of carrot or parsnip, which grows up to 120 cm long and 3–4 cm across. Roots are brown in color with white colored flesh inside. Roots are sweet, mild, and pungent flavor and have taste similar to parsnips, scorzonera or Jerusalem artichokes and features crunchy texture along with gummy consistency. Nearly all the parts of the plant are being used either for cookery purpose or as a curative medicine for certain medical conditions. The fruits are achenes and are long, compressed, with short pappuses. Seeds are brownish-grey, wrinkled, about 1/4 inch long and 1/16 inch in diameter. Burdock is stated to have originated in northern Europe to northeast Asia including northern India. It has become naturalized in many parts of the world, growing wild all through Europe and North America where it is used as folk medicine. Later on Japanese developed it as an edible vegetable when it was introduced into Japan a thousand years ago. Today, burdock is extensively grown in Japan, China, Taiwan and also some Southeast Asian countries mainly for export to Japan. Apart from their taste similar to scorzonera, Jerusalem artichokes or parsnips Burdock is a good source of nutrients, vitamins and minerals. Consuming 1 cup (1″ pieces) 125g of burdock offers 0.349 mg of Vitamin B6 (Pyridoxine), 26.44 g of Carbohydrate, 116 mg of Phosphorus,0.338 mg of Manganese, 0.111 mg of Copper,0.96 mg of Iron and 49 mg of Magnesium. Moreover many Amino acids like 0.052 g of Histidine, 0.115 g of Lysine, 0.051 g of Isoleucine, 0.058 g of Valine and 0.044 g of Threonine are also found in 1 cup (1″ pieces) 125g of Burdock. Calories 110 Kcal. Calories from Fat 1.62 Kcal. Burdock is a biennial herb which grows in cool climate. It is full of nutrients, vitamins and minerals which are essential for the body to perform its functions effectively. Frequent consumption of Burdock helps to maintains the blood pressure, take good care of digestive issues, cure diabetes, good for healthy skin and many more benefits. The significant levels of vitamin C and E, both of which act as antioxidants in the body to eliminate free radicals, mean that burdock is a major booster to our immune system function. These antioxidants are related to lowering one’s risk of cancer, preventing infections and supporting proper growth, development, and repair of the body’s cells and tissues. Burdock consists of considerable amount of vitamin B6 which is extremely beneficial for decreasing the occurrence of asthma attacks. The essential nutrient that are presents in burdock has assisted those with asthma to decrease symptoms of wheezing which are related with asthma attacks, as well as to lower the sternness and frequency of the attacks occurring. Phosphorus contained in burdock is essential for bone health and also maintaining teeth and gum health. Calcium, phosphorus and vitamin D present in burdock helps in the preservation and formation of dental health simply by supporting jaw-bone mineral density, tooth enamel and holding the teeth in place, too therefore, these minerals and vitamins help to heal tooth decay. Vitamin D is required together with phosphorus to control body’s balance of calcium and enhance its absorption during tooth formation. Vitamin D helps to decrease inflammation of gums which is related with periodontal gum disease. Manganese, along with supplements that contain glucosamine hydrochloride or chondroitin sulfate, is a suggested natural treatment for arthritis. Regular consumption of manganese rich foods along with other supplements will help to reduce inflammation of joints and tissues and help arthritis patients to feel more comfortable and perform more usual activities. Burdock consists of minimal amount of Copper which is essential for proper mental functioning. Normally copper rich foods are also called “brain food” because it helps enable certain neural pathways which encourage out of the box thinking. If it lacks during the growth period it may result in incomplete brain as well as nerve development. So include burdock in your diet to fulfill your copper requirement of the body. Iron present in burdock is helpful for the treatment of anemia that takes place in women throughout pregnancy or menstruation. New red blood cells must substitute those that have been lost, therefore consuming considerable amounts of iron is essential for those women at those points in their lives. Burdock consumption also fulfills few of the iron requirements of the body. Burdock consists of marginal quantity of magnesium which helps body to absorb calcium that may result in faster healing of the bone related problems. Cramps in leg, general fatigue are the traditional symptoms of magnesium deficiency so proper intake of magnesium supplements is required to heal all types of chronic leg cramp problems. Vitamin B9 contained in Burdock is a dependable resource for preventive defects during pregnancy and the birth of a child. It is a common condition that pregnant women maintaining a diet lacking of this vitamin are far less probable to deliver a healthy child. The birth defects caused by its deficiency comprise neural tube defects. Therefore, Vitamin B9 efficiently increases the chances of giving birth to a healthy, happy child. Burdock root can be eaten raw or cooked in a variety of food preparations, and petiole, young leaves and sprouts are also eaten. Root is very crisp and has a sweet, mild and pungent flavor. Gobo is also processed as snack similar to potato chips in Kyoto. Roots are eaten cooked and young sprouts are eaten just like bean sprouts. Burdock is combined with pork in miso soup in Japanese cuisine. The roots are traditionally used as a flavoring in the herbal drink dandelion and burdock in Britain. Stalks are carefully peeled, and either eaten raw, or boiled in salt water. Burdock is used in traditional medicine to treat abscesses, joint pain, urinary complaints and respiratory ailments (congestion, fever caused by colds, flu and pneumonia) and to overcome severe health challenges by stimulating cellular regeneration, detoxification and cleansing. 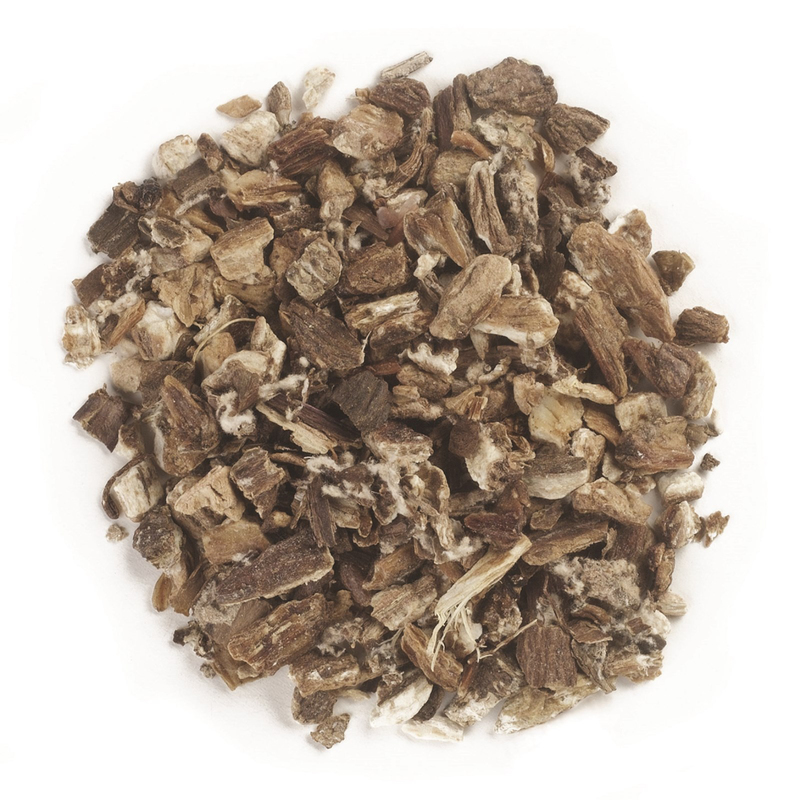 Burdock is one of the leading detoxifying herbs in Chinese and Western herbal medicines. It is used for treating gastrointestinal disorders, as well as joint and bone ailments. Due to its soothing, mucilaginous properties; it is used in numerous types of skin diseases, herpes, acne, bites, burns, bruises, ringworm, eczema, boils and impetigo. Arctium lappa is used to relieve gastrointestinal symptoms and used as in dermatological conditions. It is popularly used for treating hypertension, hepatitis, gout and other inflammatory disorders. Dried burdock root of 1-year-old plants is official medicinal herb. Roots of burdock are used in folk medicine for gout, rheumatism and several skin diseases. It is used to treat impotence and sterility in China. Native Americans included the root in herbal preparations for women in labor. Dried burdock roots and burdock tea are considered to be a traditional blood purifier, a diaphoretic, an alternative and a diuretic. 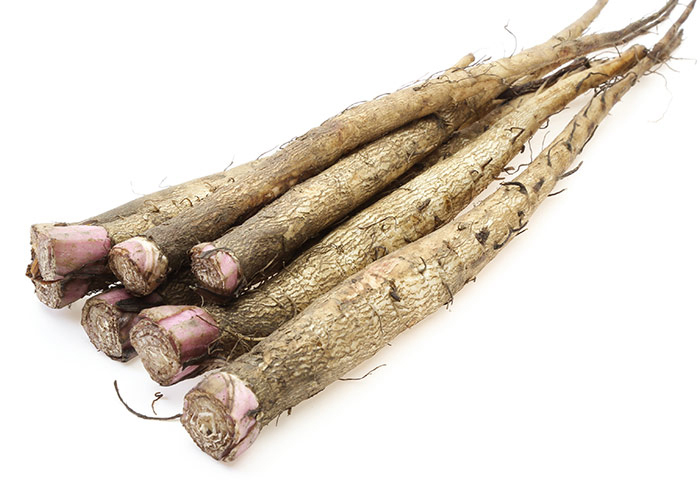 Burdock root is used to treat throat and other infections, rashes, boils and other skin problems, and is supposed to be mainly good at helping to eradicate heavy metals from the body. Roots are best remedies for the prevention and treatment of alopecia. Burdock fruit is a herbal drug for the treatment of common cold caused by wind and heat in traditional Chinese medicine. 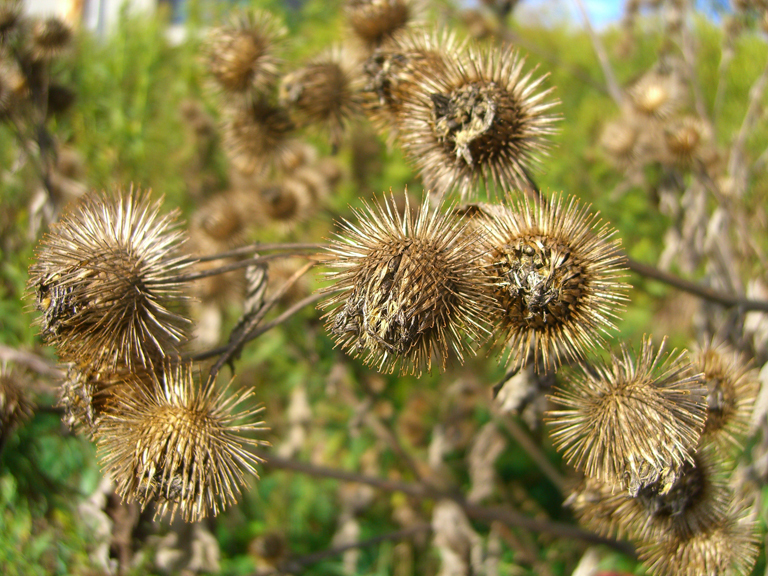 Burdock seed is used as an alternative medicine for the treatment of inflammatory disorders. Crushed seed and leaves are poultice onto sores, burns, bruises and ulcers. Chinese also used burdock to treat upper respiratory infections and pneumonia arising from a “hot wind”. Combination of burdock and wine was used to treat leprosy in Europe. 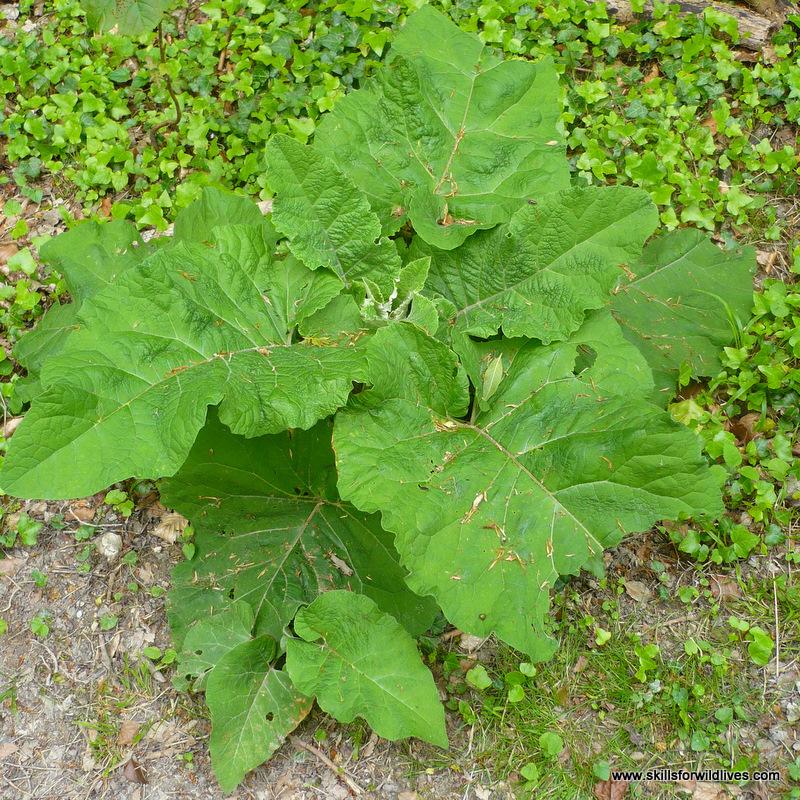 Burdock is used for treating fevers, syphilis and gonorrhea by European herbalists. Burdock is used as diuretic and to treat arthritis, urinary tract problems, eczema, ringworm and lice by American herbalists. Burdock is used for upper respiratory infections and pneumonia in Ayurvedic medicine. It is used to treat gout, renal stones and rheumatic complaints. 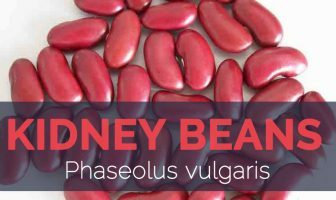 Folk herbalists use it to treat snake bites and those that are distressed with rabies. Burdock root oil extract, also called Bur oil, is used in Europe as a scalp treatment. Burdock has possible application for bio gas production. Burdock is usually avoided during pregnancy and lactation and in children less than two years old. Burdock may alter blood sugar level thus caution is recommended when using medications which also alter blood sugar level. 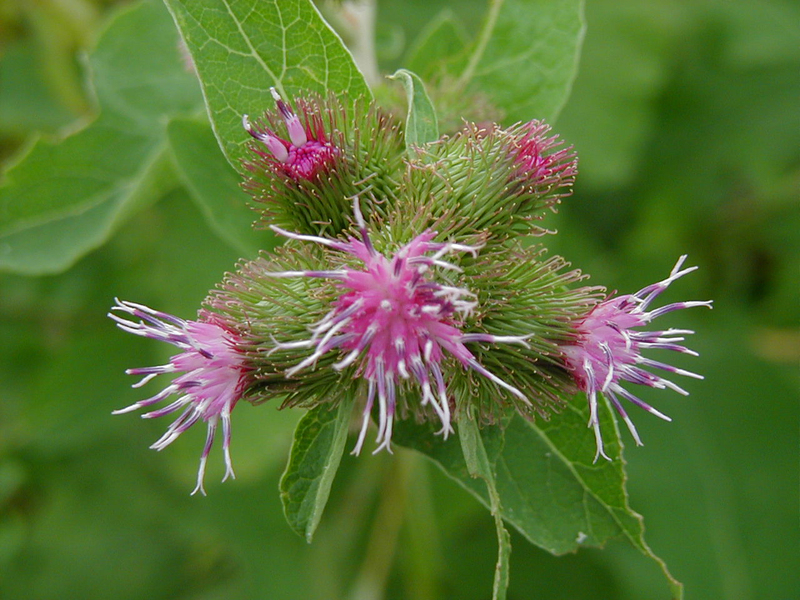 Burdock increases the risk of bleeding when taken with drugs that increase the risk of bleeding e.g. aspirin, anti-coagulant. In large amounts the tannin content may cause gastrointestinal distress. If you are sensitive to ragweed, daisies or chrysanthemums you may experience an allergic reaction to burdock, including dermatitis. People who are dehydrated must not take burdock because the herb’s diuretic effects might make dehydration worse. Burdock is a beneficial herb which is found beneficial in many ailments. It is a biennial herb which grows in well-drained sandy loam or fresh, worked soil rich in humus or nitrogen. Taproot of young burdock plants are harvested and eaten as a root vegetable as well as herbal medication too. Native Native to northern Europe to northeast Asia including northern India. Common/English Name Thorny Burr, Beggar’s Button, Gypsy Rhubarb, Hardock, Burdock, Burs, Cocklebur, Cockle- Button, Cuckold, Edible Burdock, Lappa, Lesser Burdock, Gobo, Grass Burdock, Love Leaves, Greater Burdock, Beggar’s Buttons, Happy Major, Clotbur, Harlock, Great Burdock, Harebur, Hurrbur, Fox’s Clot, Personata, Stick Button, Bat Weed. Root Shape & Size Slender, fleshy, tapering roots similar in shape like that of carrot or parsnip, which can grow up to 120 cm long and 3–4 cm across. Stem Erect, hollow, branched, hairy, and ridged may reach 5 ft.in height. Leaf Broadly heart-shaped, 6-18 inches long, 4-14 inches wide, with hollow petioles and wavy and toothed margins. The undersides of these leaves are loosely hairy and light green. Stem leaves are much smaller, alternate, and egg-shaped. Flower Purple and grouped in globular capitula, united in clusters. Fruit shape & size An achene, mottled, 4-7 mm long, with a pappus of short bristles. Seed Brownish-grey, wrinkled, about 1/4 inch long and 1/16 inch in diameter.